What if you could combine your passion for Italian motorcars with helping doctors to save lives? It almost sounds too good to be true. But Sport & Collection’s ‘500 Ferraris against Cancer’ is making it happen. The show and track event are raising money for and awareness of the fight against this terrible disease, while providing a great spectacle for fans of the cars of Maranello. This year, the event is celebrating both its incredible 25th anniversary and the size of the sums raised. And having raised over €4 million in recent years, we have to salute the organisers of this event. 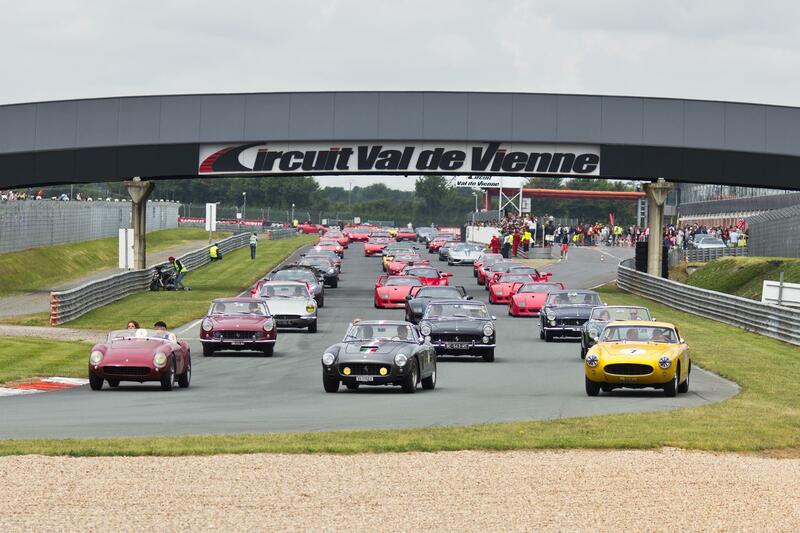 The quarter-century edition of 500 Ferraris against Cancer will be held at the Circuit de Val de Vienne in the region of Le Vigilant between May 30th and June 2nd, culminating in four days of octane-fuelled thrills. And just like every year it will be completely open to the public. The event itself actually involves more than just 500 Ferraris, although the parade and hot laps by the members of Ferrari Club France are definitely one of the highlights of the event. Many other exotic cars from various marques will also be on display or see action on the track itself. The Ferrari platform will feature pretty much every Ferrari you can imagine – from a classic 212 to a 488 GTB Challenge car to a LaFerrari, and everything in between. There is also a Le Mans platform which brings legendary cars onto the track, such as classic LeMans Porsche and GT40s. A little flashback to the fierce rivalry between the Americans and the Italians at la Sarthe perhaps? One of the biggest crowd-pleasers is, as ever, the Formula One, F2 and F3000 platform because it’s a chance for the audience to experience legendary machines from motorsport history and hear them scream around the circuit one more time. Not only is there a lot to see, there’s also a lot to experience for yourself too, with the opportunity to acquire passenger laps in some of the most incredible road and race cars on the track. This may be the best way to truly experience the event and the machinery up-close. Besides the action on the track, over 1.000 dream cars will be lined up in the paddock, along with many exhibitions and ‘concours’ that will have you dreaming about sports cars for days on end. The weekend will culminate with a visit of “La Patrioulle de France” and the Rafales, the French Air Force’s stunt team, who will provide an incredible show in the skies, in addition to all the spectacles on four wheels. Motul is teaming up with the event once again, and as it has done for many years already, because we share the passion for racing and strongly believe that this is one of the most exciting ways to contribute to the fight against cancer. Every euro spent at the event is one that will be donated to this very good cause.